The exposition opened on 6 May 1931 in the Bois de Vincennes on the eastern outskirts of Paris.The scale was enormous; Sculptor Elizabeth Prophet called it “the most spectacular colonial extravaganza ever staged in the West. Some 33 million visitors came from around the world. The French government brought people from the colonies to Paris and had them create native arts and crafts and perform in grandly scaled reproductions of their native architectural styles such as huts or temples. Other nations participated in the event, viagra generic rx including The Netherlands, levitra Belgium, Italy, Japan, Portugal, the United Kingdom, and the United States. The exhibition included a “human zoo,” displaying nomadic Senegalese Villages. 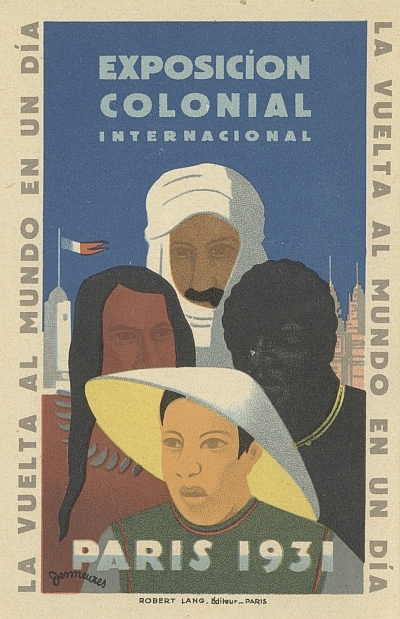 This postcard – which was also used as a full sized poster – is a Spanish language variant. 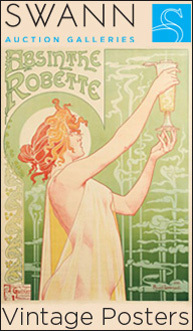 The poster was designed in 1930 by Jean Victor Desmeures and used widely to popularize the exhibition. As I’ve noted before, I’ve always been fascinated by World’s Fairs (Expositions or Expos) and this one is among the most mysterious and interesting because it showcased what at that time was truly foreign in the heart of one of the most wonderful cities of the world – Paris.